The right high-profile conference can make your product a household name and position your company to take a big bite out of the market. But the wrong one may do nothing more than take a big bite out of your budget. Whether you're exhibiting or attending, getting the results you need from the events you choose depends on understanding what each conference can help you accomplish, and then doing the prep work necessary to meet your goals. 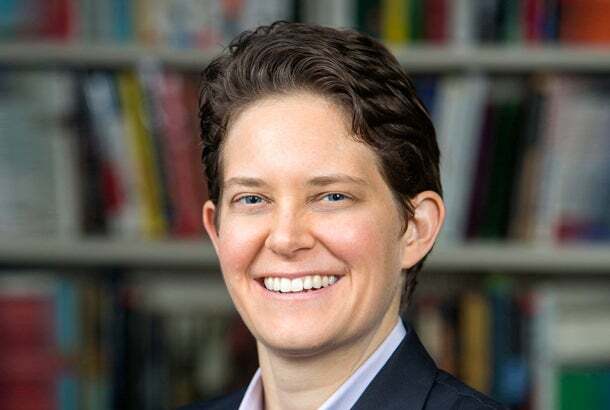 As a business owner, the key to choosing a conference is establishing your goals for attendance and calculating how many you need to achieve to justify the expense, says Dorie Clark, adjunct professor at Duke University's Fuqua School of Business and author of Stand Out: How to Find Your Breakthrough Idea and Build a Following Around It. “It's a big investment, so if you're going to make a smart decision, you need to understand what the return on investment is going to be and what form that's going to take for you," she says. “What are your expectations? What would have to happen in order for it to be worthwhile to you from a networking perspective, from a professional development perspective, from a research perspective?" Regardless of which conference you attend, it's essential to develop a strategic game plan for the event. Think not just about your ideal outcome, but rather everything you have the potential to gain from attending. “If your only ambition is that you want your product to go viral at SXSW, that is a very high bar," Clark says. “However, there are many other worthy goals you can set that are along the path to a viral breakout success." If you're attending for the first time, your plan may revolve around learning how things are done at the conference, which will allow you to “make educated decisions when the time is right in order to launch your product well," she says. “It could be that you want to do research and learn from your target audience about what problems they're having or what kinds of products they're seeking. Maybe you want to do competitive research and get a pulse on what's happening. Those are great reasons to go to conferences." Make a point of studying materials that can provide you with advance information about panelists, exhibitors and other participants who may be among your networking targets, Clark advises. That gives you the opportunity to contact them ahead of the conference, make an appointment to meet and use the event as a tool for cultivating relationships with influencers who are willing to try your product. “Having an in-person connection is infinitely more powerful than having just tweeted at someone a few times," Clark says. You can also use those conversations to gain a stronger understanding of how to get the most out of the conference. Ask your contacts what types of promotional materials they have found garner the best response from other attendees. Seek their counsel on finding a balance between attending presentations and leaving free time for conversation with other participants. Aside from the official program, they may be able to help you identify the ancillary parties or sponsored events that you could benefit from attending. One of the simplest strategies for optimizing your return on investment is signing up for the conference mailing list. This not only keeps you up to date on program themes, presenters and attendees, but also keeps you in the loop regarding cutoff dates for early registration or other promotions that can help you manage your expenses. Another potential money-saver is to get a grounding in local geography. You don't want to book a less-expensive hotel located just five miles from the conference only to find that parking around the convention center is at a premium and costs more than you've saved on lodging. By approaching conference attendance as you would any strategic business activity and identifying several metrics of success, you can make the most of your participation and your prospects for continued growth. Here's a quick overview of some of the most prominent conferences and their areas of focus. The SXSW Interactive Festival is a showcase for innovative technology products and services. The five-day program held in Austin, Tex. includes panel discussions, instructional workshops, one-on-one mentoring sessions, and networking opportunities. Whether you're ready to bring a product to market or want to keep track of emerging trends, this is the place to be. GetGeeked, held each year in San Francisco and New York, gives technology brands the opportunity to interact with a mix of media and early adopters. If you're ready to up your media game, you may help raise your company's visibility. The Next Web's TNW Conference takes yet another approach to the tech sector. Held in New York, it is keyed to activity in the financial capital and offers opportunities to network with technology investors. Plan to attend this conference if you're ready to seek outside investment. BizBash Live: The Expo is a part of the Event Innovation Forum. Launched in 2012, the program has expanded to 18 cities across the U.S. Each event offers a single-track program of educational presentations. Check the calendar and topics to see which events are best tailored to your interests and your company's focus. The Lean Startup Conference, held in San Francisco, brings people from all industries together to strengthen their command of the Lean Startup methodology. If you've adopted Lean Startup practices and want to use them to greater competitive advantage, consider attending this event.